Debra Phillips, Mt. 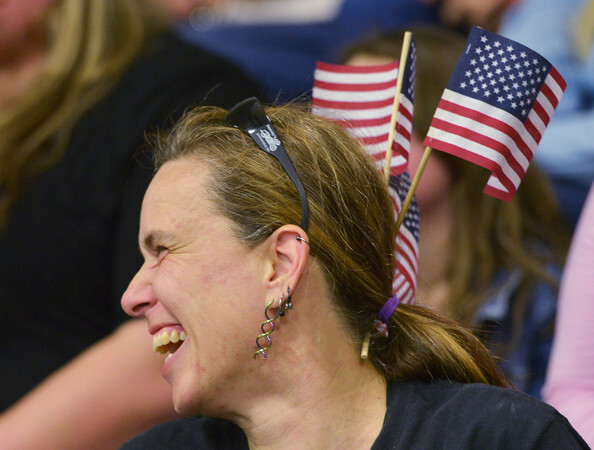 Vernon, decorates her hair with American flags in support of the 276th Engineer Company on Monday. Phillips is a family friend of a member of the 276th.